SERVICE : Service | e-side, inc.
e-side, inc. was founded in 2000 at the start of an extended growth period for the commercial Internet in Japan. We have aimed at contributing to the expansion of the Internet and it's related technologies through the planning, operation and management of events, conferences, meetings, projects and associations exclusively in the Internet field. Our fifteen years of experience is focused on the following three service categories. Over 15 years of specialized know how. Start-up services, membership services, financial management, event planning, training and certification programs for technology focused associations, projects and consortiums. 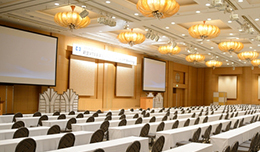 Supporting the globalization of your meeting space. Managing over 50 internet focused seminars, meetings and conferences annually for more than 15 years. 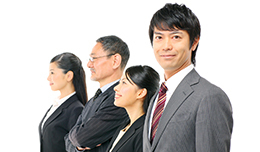 e-side has been centrally involved in the establishment of the Task Force on IPv4 Address Exhaustion, Japan, the ICT Education Promotion Council of Japan, and the Okinawa Open Laboratory, providing services encompassing bylaw creation, legal framework, web and communication platforms, financial management and initial membership and officer recruitment. Our secretariat skill and event management experience has supported the continued growth and success of these organizations and many others.